This is exactly what it says. The old site is gone. This is new site. Mostly it's going be updates on current projects or future projects. After all, if I'm spending all my time blogging, I can't be writing my books, now can I? Some of you might ask: Where's Rupert & Me? Well, it's here on Amazon and Barnes & Noble in special collected editions for your Kindle or Nook. I'm slowly working through all 300 strips and formatting them for the ereaders screens. There may be a PDF collection at some point in time, but I'm not sure. My new series The Grym Brothers has officially launched. 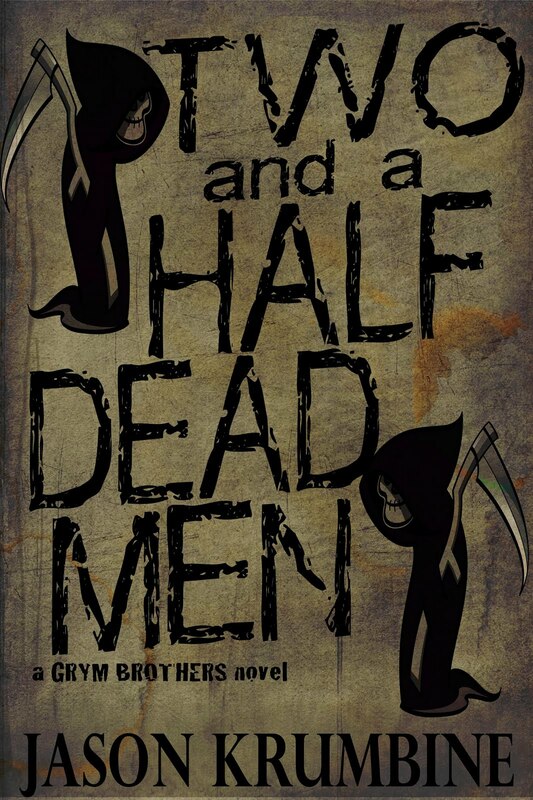 The first book, TWO AND A HALF DEAD MEN, is up and running on Amazon and Barnes & Noble. I'm starting work on book 2 this week, THE DEAD COUPLE. You can see the nifty progress bar for that to the right. Now we can all join in on my nervous freakouts as I don't meet my daily word goals. Yay! The Grym Brothers series is going to be a $0.99 Series. That means each book is only going to be $0.99, with an omnibus edition every four or five books for around $2.99. My next two books are going to be Grym Brothers installments. After that, I'm not sure what I'm going to do. Maybe take a vacation. 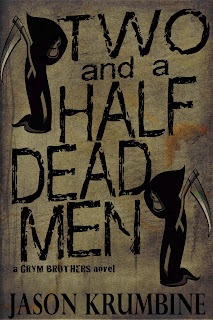 I like the 3rd cover for The Dead Couple.